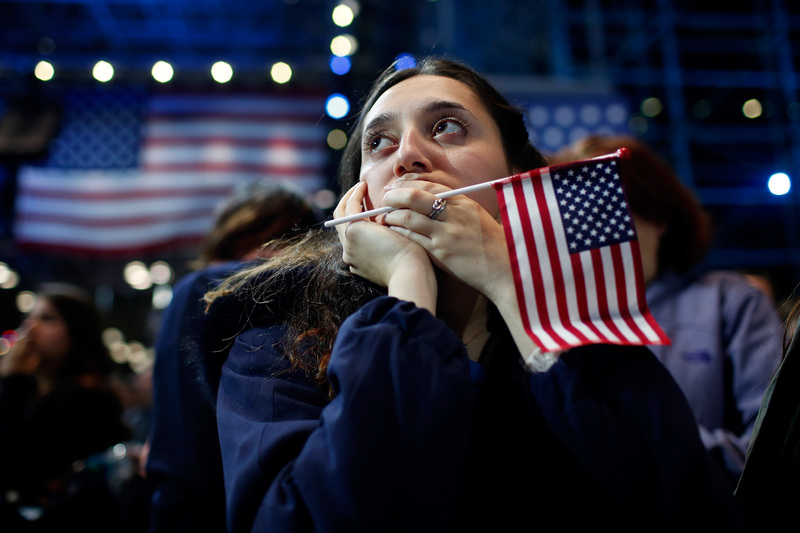 The 2016 Presidential Election came to an end on Tuesday night and as the world watched in fear for the future of the country and the globe, the unthinkable happened. What we couldn't have possible imagined at the start of this election cycle over a year ago happened. The threat that we collectively did not take seriously enough came to be a reality. Republican nominee Donald Trump won the election, but not all is lost. Over the course of his campaign, Trump successfully alienated various marginalized communities with his rhetoric. His campaign was driven by hate or fear of immigrants, Mexicans, Muslims, black Americans, women, the LQBTQ community, the disabled, and those with intersecting identities. I feel as though Trump isolated us all, and spoke to the grievances of a class of predominately white men across the country. We absolutely should all take a moment to care for ourselves and for our communities, and the communities who will be most impacted by this decision for the country's future. And then we need to get up, get organized, and continue fighting for progress every single day. Even as Trump clinches the 2016 Presidential election, there are still good things to keep in mind. 1. The fight continues every damn day. Trump isolated a lot of communities. Now, we fight together. There is strength in unity. 2. Trump may have taken the White House, but we have the power to keep our movements alive. 3. More women were elected to the Senate on Tuesday, which is a significant win moving forward. 4. While Trump may be the next president, assuming he adheres to the current workings of our political structure, he won't have so much power — Congress will. 5. In July, Trump even said he wouldn't rule out quitting if he won the election, so maybe we won't see him in the White House after all. According to the New York Times, he said, "I’ll let you know how I feel about it after it happens." 7. Speaking of the next election, we should all realize the importance of voting when we are able, voting strategically, and especially in swing states. 8. We can look at our democratic system as flawed. This election was unlike any other, with a Democratic socialist who fared well and a former reality TV star who won. It's clear the electoral process doesn't work for the people, though, and this is a sign it's time to change that. 9. Where Trump brought people together in anger, the rest of us are uniting in love and there's nothing more powerful than that. If you are having a hard time tonight dealing with the news, you're not alone. There are ways to deal with the stress and anxiety.